Gimborn Grass Gel Hairball Remedy & Digestive Aid 4 oz. Grass Gel contains the amino acids and phyto-nutrients of fresh grass with the convenience of a tube. 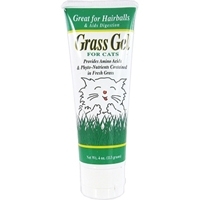 Grass Gel also acts as a natural hairball remedy and helps a cats natural digestive system. 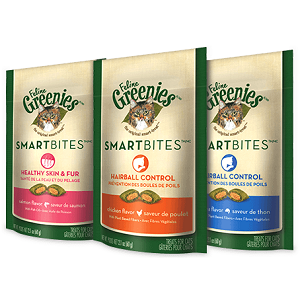 Especially beneficial to indoor cat owners and for those that travel with their pets. St Jon Petromalt Tube for Cats 4.4oz is an excellent pet medication that aids in the elimination and prevention of hairballs. 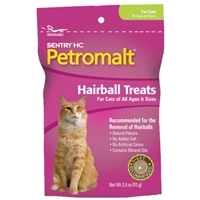 One dose of petromalt is sufficient enough to quickly & easily alleviate your cat's discomfort due to hair balls. It also aids in the elimination of swallowed hair. This malt flavored medication helps relieve constipation, dry cough and occasional vomiting.